This Tuesday bird walk, January 23, 2018 was cancelled due to wet weather. Check this site( thebirdstore.blogspot.ca) early Tuesday and Sunday mornings on stormy mornings to see if the walks have been cancelled! 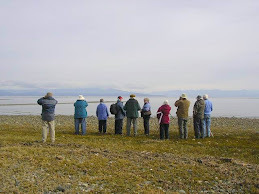 The Tuesday Bird walk on January 30, 2018, will be going the Shelly Road side of the Englishman River Estuary in Parksville. Meet at the Parksville Community Park (at the parking lot in front of the Lions Club Playground) at 9:00 a.m. or at the end of Shelly Road (on the oceanside of highway 19A) at about 9:10 a.m.